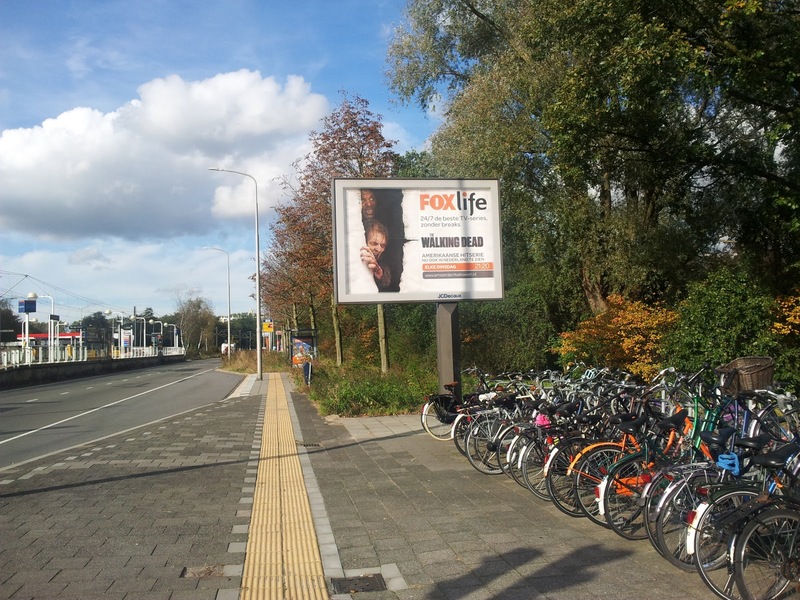 3 years ago this very month was the beginning of my life in The Netherlands. 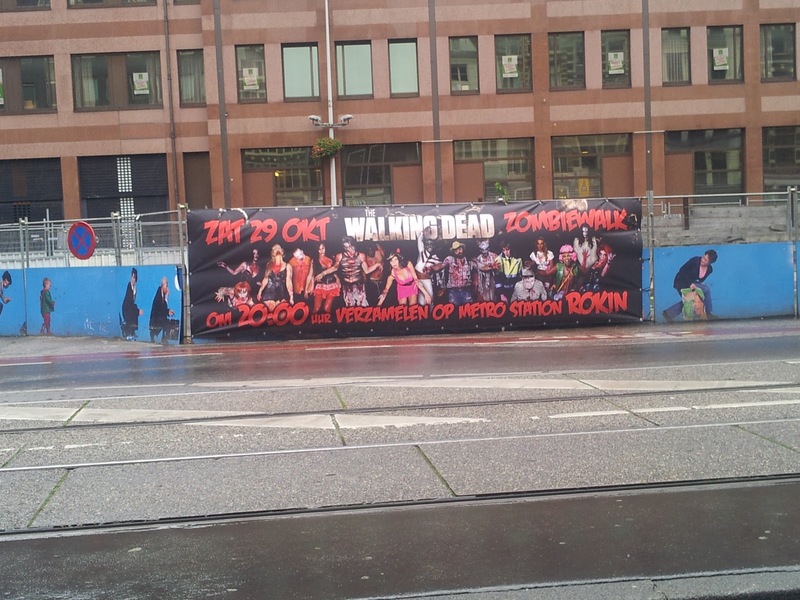 The first week I was here, I went to a comic shop on Zeedijk, just a little walk from Amsterdam Centraal Station, and purchased issue 53 of The Walking Dead. There was just one copy in the shop. I read it on a friday morning in my hotel room with one of the worst hangovers I have had in recent memory. Normally I wouldn’t attempt to do much at all when in that much (self inflicted) pain, but The Walking Dead had a real hold of me at the time. It was probably the best comicbook on the shelves, and it was riding high on the creative peak of the stunning ‘No-one is safe’ arc, that had recently concluded. 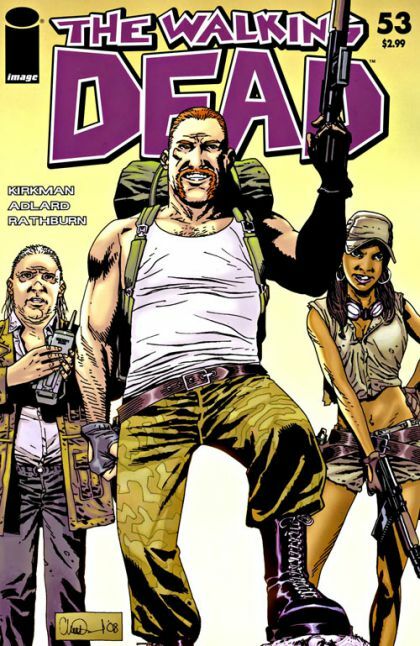 To summarise, in 2008 The Walking Dead was a consistently good comicbook, had recently ran its strongest story arc, but was still a treasure known only to comic readers. The monthlies were always in the lower end of the top selling 100 comicbooks per month, but the trades were consistently near the top of the pile. It is an amazing achievement. Within 3 years, a comic book has crossed over to mass appeal, with a hit TV show and the ability to generate more publicity with organised mass public events in the heart of Europe. 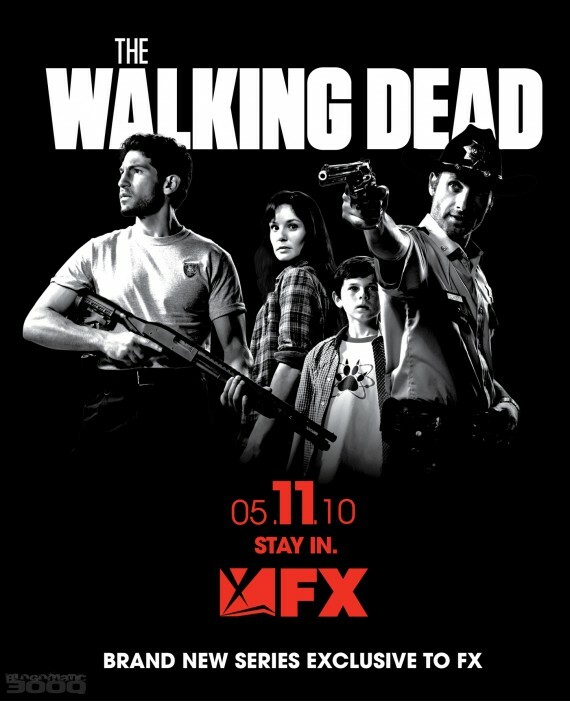 Robert Kirkman, Charlie Adlard, Russ Wooton, Frank Darabont, Andrew Lincoln and so many others deserve the success and plaudits for making The Walking Dead the global hit that it is today. But, in the three years since issue 53, and especially over the last few months, I get this nagging, persistent thought when I think about the comic. I keep thinking it should have gone out at issue 50. The reason I say this is because the subsequent arcs have never topped the glory of those issues from 2007 and 2008, with The Governor as a (melo)dramatic nemesis and an adversary that really gave a punch to each issue. There was a fatalistic air about the final issues in the besieged prison where Rick and his fellow survivors are holed up, waiting for the next attack from the Governor-led forces of the Woodbury community. Although the action is widescreen, and the violence raw and shocking, there are also some incredibly poignant moments that stay with you after you have burned through this clutch of issues. If you haven’t, you really should work your way through those trades 1 to 8 (number 8 being the collected ‘No-one is safe’ arc, entitled (rather confusingly) ‘Made to suffer’. That will take you up to issue 48. Think about that issue – and what a perfect way to end this brilliant comic book. You could take it up to issue 50 for the aftermath of the Prison siege for completeness sake – or because 50 is a nice tidy number to finish on. I still read The Walking Dead. It is still one of the few comics I read nowadays. But its not the same any more – the last few issues especially seem to be treading water for no better reason than to set the story in a holding pattern for a few issues until some kind of conflict or showdown is initiated. Maybe the story will pick up again, maybe we will be given a series of issues that will eclipse the ‘No-one is safe’ arc. 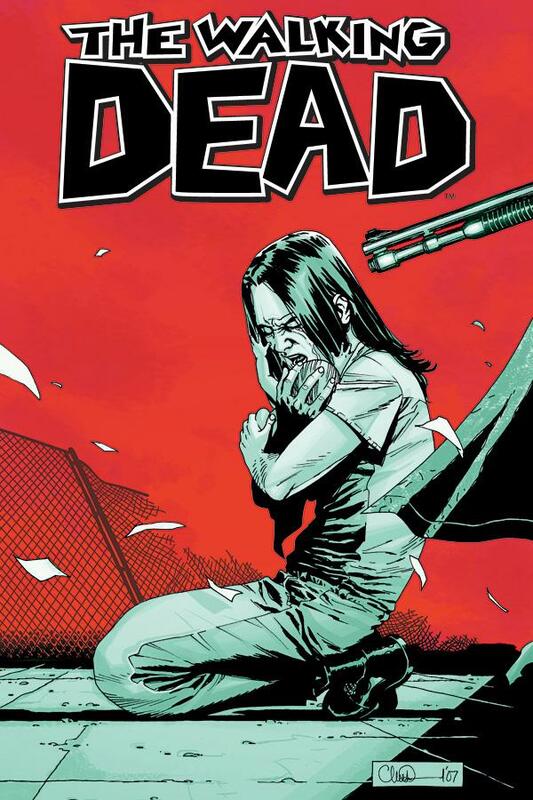 But maybe if Kirkman had killed off the title at issue 50, we would be left with a title that went out on a ridiculous high, and its legacy would be all the more powerful for it. I think whoever did the casting for this (and I am thinking Frank Darabont) made a decision bordering on Genius when he casted Andrew Lincoln (i mean – who knew????). He looks so at home in the role. And the rumours of a second season may be premature, but it is only a matter of time until we get to that second season. One month to go (it airs in the US in a months time, but you may well be able to find it the day after if you live outside the US, like me) and I think this could be the television event of the year (and that is despite X Factor UK looking bloody good this year). Good good this looks better than I could ever possibly have hoped. Darabont is a genius with his choice of music (The Walker Brothers!) and the fact he just seems to get the mood of the comic within the opening seconds of this trailer. With a few weeks to go before it is out in America on AMC, I am hoping that the quality is as high as the trailer suggests. 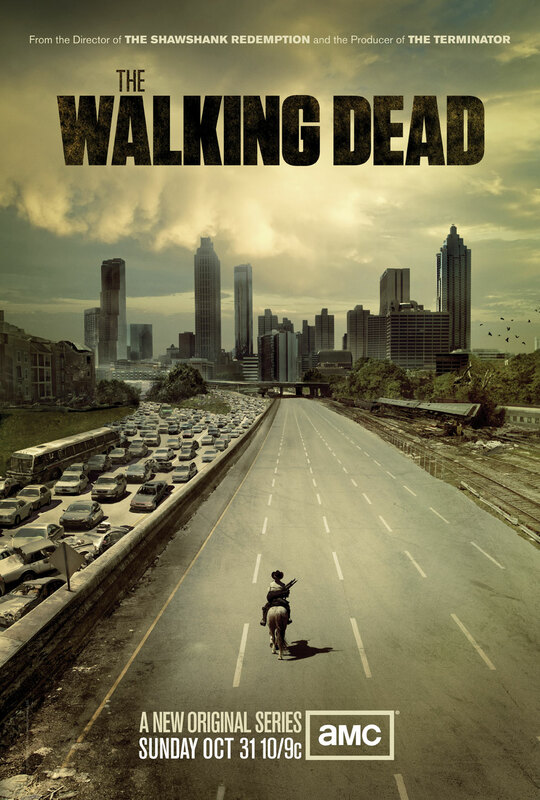 And then hopefully there will be more ‘Walking Dead’ than the 6 episodes commissioned. And Andrew Lincoln IS Rick.